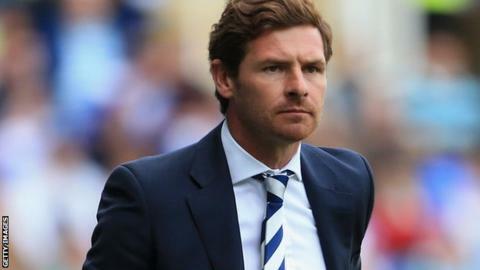 Tottenham manager Andre Villas-Boas has challenged his side to win the Europa League this season. Villas-Boas, who won the competition with Porto in 2011, leads Spurs into their opening Group J game against Italian side Lazio on Thursday. Tottenham fielded a shadow side in the Europa League under Harry Redknapp last season and failed to go beyond the group stages. But Villas-Boas said: "We want to do something special in this competition." Spurs last won a European trophy in 1984, when they defeated Anderlecht on penalties to win the Uefa Cup, the Europa League's predecessor. "This competition is very important," Villas-Boas added. "It's a tough competition. You have to play 15 games before you reach the final, so it's hard and strenuous and the best teams out of the Champions League are playing. "It gives access to the European Super Cup and, for me, I always thought it was a prestigious competition and it should be promoted like that because after the Cup Winners' Cup disappeared, it is not only about the Champions League. "If we can win a trophy, that represents a lot for Tottenham Hotspur's history as well and would be something really special." In addition to Lazio, Tottenham will face Greek side Panathinaikos and Slovenia's Maribor in their group.